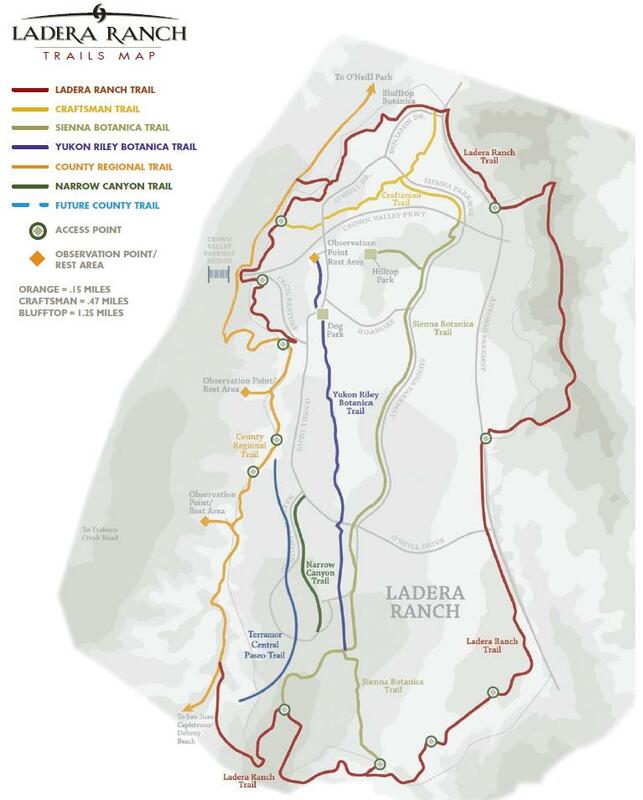 In the past, we have alluded to Neighborhood Electric Vehicles (NEVs) and their role in Ranch Plan planning. With reference to the Ranch Plan Alternative Development Standards document originally issued March 14, 2007 and most recently amended September 14, 2011, we want to describe in a little more detail what NEVs might mean for the Ranch Plan. Neighborhood Electric Vehicles are categorized by the Department of Transportation as a “low speed vehicle,” meaning a four-wheeled motor vehicle with a maximum speed of 25 MPH. NEVs are typically electric and can be charged at home through a standard electric outlet. States typically permit NEVs to travel on roads with speed limits up to 35 MPH. Ranges are limited to 30-40 miles per charge, and NEVs lack the safety equipment of typical passenger cars. In essence, they are high-performance golf carts. Autoblog answered the question “What is an NEV?” here. The DMV offers a FAQ about NEVs. 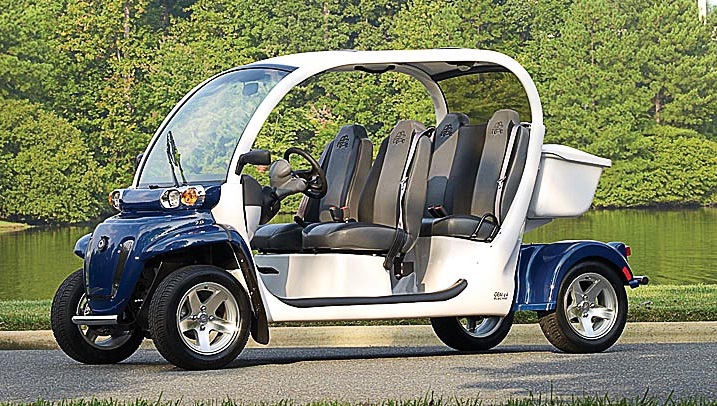 Below is an image of a GEM e4, a four-passenger NEV that retails for just over $10,000. GEM is the leading manufacturer in the world of NEVs. NEVs are energy efficient, environmentally friendly and able to travel and park on smaller spaces than conventional vehicles. It is also believed that NEV travel is safer and promotes a sense of community. As such, they fill a need somewhere between walking/biking and taking a car for local transportation. The Ranch Plan promises that NEV paths will be integrated throughout the community – potentially connecting the different villages, retail centers and recreational amenities. Class II NEV lanes mean a separate dedicated NEV lane adjacent to a road. Class II lanes may only be used on roads with a maximum speed of 55 MPH or less. Class III NEV lanes are merely roads that permit use by both NEVs and standard vehicles. 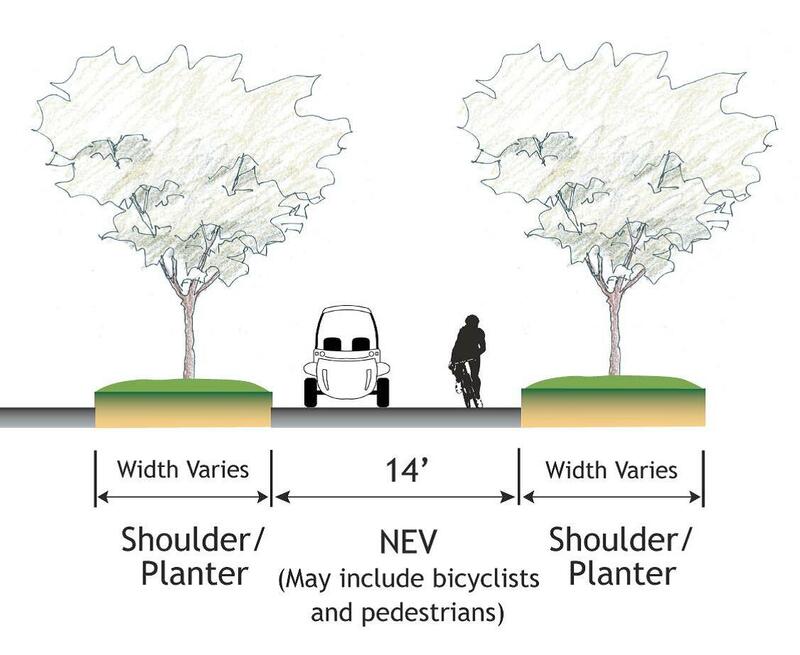 This approach is limited to roads with maximum speeds of 25 MPH or less, essentially residential neighborhood streets. It remains unclear how extensive the NEV network will be, either in this first village of Sendero or in the overall Ranch Plan. 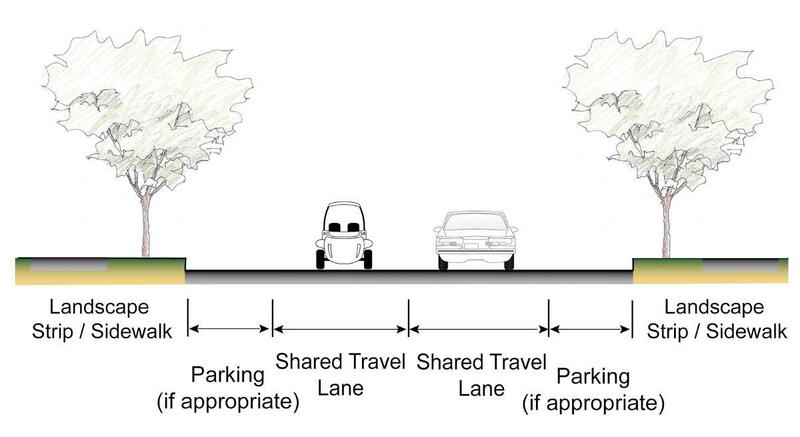 We do know that in order to encourage the use of NEVs, up to two percent of all parking spaces in the Ranch Plan may be dedicated to NEVs. Please note that this number is an estimate, not a mandate, and is subject to revision depending on the actual scope of NEV integration into the Ranch Plan. There is, however, evidence that the NEV component of the Ranch Plan remains viable. 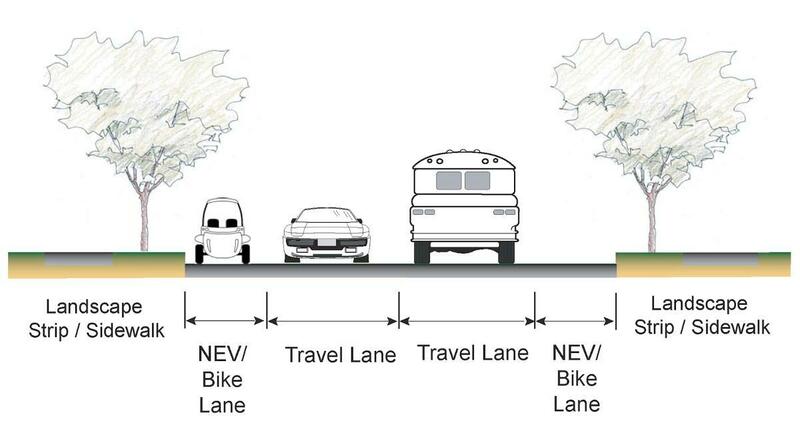 We have been told that an NEV lane is being added to the Antonio Parkway bridge across San Juan Creek and another NEV lane will run underneath the bridge, connecting the Village of Sendero to the retail center on the opposite side of Antonio. That’s encouraging, because we have to admit that in a world of clogged freeways and controversial toll roads, the image of NEV/bike paths winding through the beautiful open space connecting residential villages and quaint local retail centers has a definite rural, small-town community appeal to it.